Germany will close its last black coal mine on Friday, a milestone marking the end of a 200-year-old industry that once fuelled the country's economic growth but lost the battle against cheaper foreign competitors. The remaining 1,500 workers of the Prosper-Haniel mine in Bottrop will make their final descent into the pit's belly, greeting each other one more time with the traditional "Glueck auf, Kumpel", or "Good luck, buddy". The miners will end their shift by bringing up the last chunk of "black gold" and handing it to President Frank-Walter Steinmeier, in a ceremony also to be attended by European Commission chief Jean-Claude Juncker. A mining choir will sing the miners' anthem "Steigerlied" and local churches will hold special services in what promises to be a poignant farewell to a historic era in western Germany's industrial Ruhr heartland. The 150-year-old deep-shaft colliery, whose galleries were dug by six generations of miners, will then be sealed up for good. "There's a deep sadness now that it's all going to be over soon," miner Thomas Echtermeyer, 47, told the Bild newspaper. Bundesliga clubs in the area, who owe their origins to local mining communities, are marking Prosper-Haniel's closure with tributes to their shared heritage. Schalke on Wednesday invited 2,000 miners to their game against Leverkusen. And on Saturday, Borussia Dortmund players will wear the message "Danke, Kumpel" on their chests, which means both "thanks, buddy" and "thanks, miner". In a reminder of the dangers of the job, a 29-year-old man died in another recently shuttered mine in the same state of North Rhine-Westphalia, where dismantling work is ongoing. 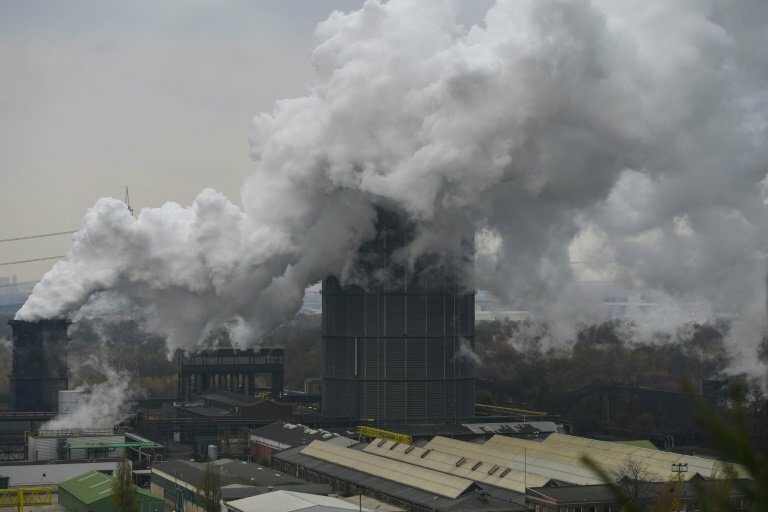 Dating back to the 19th century, the coal mines, plants and steel mills that once dotted the Ruhr basin were long the beating heart of Germany's industrial prowess, powering its economic "miracle" after World War II. At its peak, the mining industry employed some 600,000 people. Today, most of the black coal, also known as hard coal, used in Germany's coal-fired power plants comes from Russia, the United States, Australia and Colombia. Chancellor Angela Merkel's government decided in 2007 to phase out state aid and shutter the last black coal mines by 2018 -- giving the workers of Prosper-Haniel 11 years' notice. "We made sure nobody was left high and dry," Michael Vassiliadis, head of the IG BCE mining union, told the DPA news agency. Some of the pitmen will continue to labour at the Prosper-Haniel site for now to carry out dismantling tasks. The company in charge of the clean-up will also need people in the years ahead to pump out dirty mine water to avoid it from mixing with groundwater and possibly contaminating drinking water resources. Germany's goodbye to black-coal mining is by no means an exit from coal altogether: the fossil fuel still accounts for almost 40 percent of its energy mix -- partly because of Merkel's decision to ditch nuclear power.